Alyson Faye lives in West Yorkshire with her family, including 3 rescue cats. She teaches creative writing classes and works part-time as an editor/proofreader. She is one of the writers in Women in Horror Annual 2 (2017); her stories can be downloaded atwww.alfiedog.com as well as being available in numerous ezines and on sites like Zeroflash, Tubeflash, 101 words, Three Drops from a Cauldron and (most often) at The Horror Tree.(www.horrortree.com). Her debut Flash collection, Badlands, from indie publisher Chapeltown Books is available to buy on amazon. 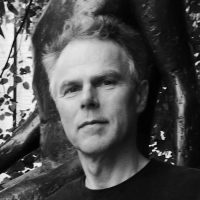 Duncan Forbes’ poems have been published by Faber, Secker and Enitharmon, who brought out a Selected Poems, Lifelines, in 2009. It was drawn from five previous collections. Awards and prizes include a Gregory Award, TLS/Blackwells Prize, two Stephen Spender Times Translation Prizes and a Hawthornden Fellowship. A painter as well as a poet, he read English at Oxford and has taught for many years. Now retired, he lives in Gloucestershire. Imogen Forster lives in Edinburgh. She has an MA in Writing Poetry from Newcastle University, and is a translator from French and Spanish. 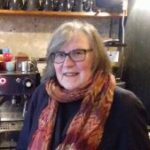 Maggie Freeman taught Creative Writing in Adult Community Learning in Essex until last year, when she moved to the edge of Epping Forest and decided to concentrate more on her own writing. Some of her short stories have been published in Stand, and her poems in Acumen. 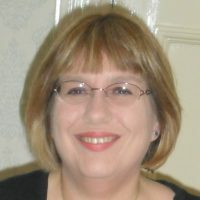 She has written three historical novels which are due to be republished later this year by Sapere Books (www.saperebooks.com). She wrote this story after an enjoyable week at Moniack Mhor, the Scottish writing centre. 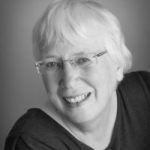 Deborah Freeman is a playwright, whose stage plays – The Song of Deborah, Xanthippe, Candlesticks, Breakages and more – have been produced in several London fringe venues, and broadcast by BBC Radio Drama. She has published poetry in Poetry Review and other journals. A previous recipient of an Arts Council Theatre Writing Bursary, she is now writing a new play The Cottage, and awaiting a production in a London venue of Remedies. Plays have been translated into German, Portuguese and Hebrew. Seventh Floor was published in Stand 2013. By Madeleine Black appears in the current issue. 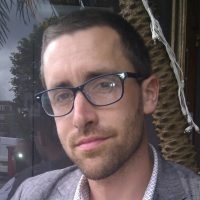 Matthew James Friday has had poems published in numerous international magazines and journals, including, recently: The Brasilia Review (Brazil), Dawntreader (UK), New Contrast (South Africa) and Poetry Salzburg (Austria). A mini-chapbook titled All the Ways to Love was published by the Origami Poems Project (USA). Claire Fuller writes a lot of flash fiction and short stories. She has won the BBC Opening Lines competition and the Royal Academy/Pin Drop Prize. Her novels Our Endless Numbered Days, Swimming Lessons and Bitter Orange are published by Penguin. Raine Geoghegan is from West Sussex. 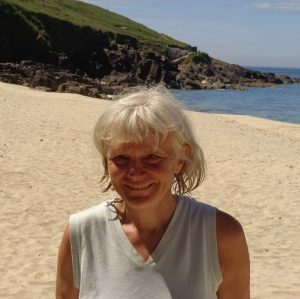 Her poems and short narratives have been published online and in print with Romany Routes Journal; Fair Acre Press, e-book on Maligned Species; Ground, Curly Mind Journal, Ink Pantry. Forthcoming publications: The Travellers’ Times; Café Writers, Issue 5, Fly on the Wall Poetry and Under the Radar. She has been featured in a short film, Stories from the Hop Yards, based on the work of Herefordshire photographer Derek Evans, made by Catcher Media. Lydia Fulleylove lives on the Isle of Wight where her love of sea and landscape has provided a rich creative resource and inspiration for the combined arts projects she leads, including Estuary, Riverlines and Wild Places. Lydia’s first collection, Notes on Sea and Land was published by HappenStance Press in 2011. 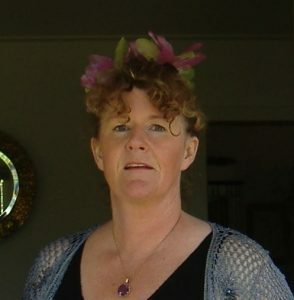 Her poem ‘Night Drive’ was shortlisted for the Forward Best Single Poem Prize in 2011. Her second collection Estuary, in collaboration with artist Colin Riches, was published by Two Ravens Press in 2014. 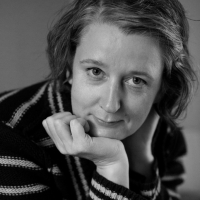 Her writing has been included in a range of magazines and publications including Chalk Poets, (2016), Salt on the Coals, (Winchester Poetry Prize 2016), Earthlines and The Guardian. 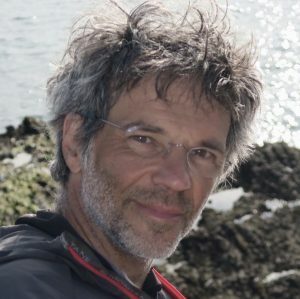 Mark Goodwin is a balancer, walker, climber, and stroller who speaks and writes in various ways in various places – on paper, online, blended with photos, to live audience, or through mixing his voice with field-recordings & soundscapes. Mark has published five full-length poetry collections & five chapbooks with Leafe Press’s Open House Editions, Longbarrow Press, Knives Forks & Spoons Press, Small Minded Books, Nine Arches Press, & Shearsman Books. Mark’s collection Steps (Longbarrow 2014) was a category finalist in the 2015 Banff Mountain Book Competition. His latest chapbook with Shearsman is All Space Away and In (June 2017). Another full-length collection, Rock as Gloss, which focuses on climbing and mountain navigation, is forthcoming with Longbarrow Press. Mark lives on a boat in Leicestershire. Linda Goulden lives between a river and a canal at the edge of the dark Peak. Her poems have appeared in anthologies, magazines, online, in song and in woodland. Hugh uses landscapes as a means of exploring landscape, people and memory. Explorations can be about such things as sunlight falling into a shed or the experience of visiting a wreck on a Cornish beach at night in the teeth of a gale. Hugh also works as a visual artist, painting in oils and has had a scientific education, culminating in a degree in Chemical Engineering. 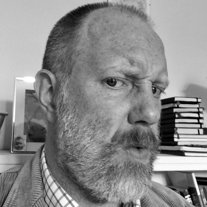 Robert Hamberger’s poetry has been broadcast on Radio 4, featured on The Guardian Poem of the Week website and has appeared in British, American and Japanese anthologies and various magazines, including The Observer, The Spectator, New Statesman and Gay Times. He has been shortlisted for a Forward prize, awarded a Hawthornden Fellowship and published three collections Warpaint Angel (1997), The Smug Bridegroom (2002) and Torso (2007). 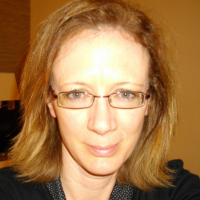 Hilary Hares has an MA in Creative Writing (Poetry) from Manchester Metropolitan University. 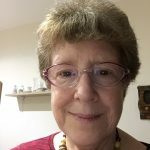 Born in Portsmouth, she now lives in Farnham, Surrey and her poems have found homes online and in print including Ink, Sweat and Tears, The Interpreter’s House, South and Magma. Her collection, A Butterfly Lands on the Moon, is sold in support of Phyllis Tuckwell Hospice Care. Deborah Harvey’s poems have been widely published in magazines and anthologies, and broadcast on Radio 4’s Poetry Please. She has three poetry collections,Communion (2011), Map Reading for Beginners (2014), and Breadcrumbs(2016), all published by Indigo Dreams, while her historical novel, Dart, appeared under their Tamar Books imprint in 2013. Her fourth collection, The Shadow Factory, will be published in 2019. 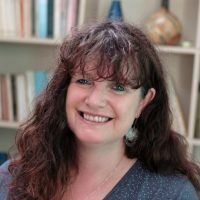 Deborah is co-director of The Leaping Word poetry consultancy. Ceinwen E. Cariad Haydon lives in Newcastle upon Tyne, UK. She writes short stories and poetry. She has been published in web magazines and print anthologies. These include Fiction on the Web, Alliterati, Stepaway, Three Drops from the Cauldron, Snakeskin, Obsessed with Pipework, The Linnet’s Wing, Blue Nib, Picaroon, Amaryllis, Algebra of Owls, The Lake, Ink, Sweat and Tears, Riggwelter, Poetry Shed, Southbank Poetry, Smeuse, Bandit Fiction, Atrium, Marauder, Prole and The Curlew. 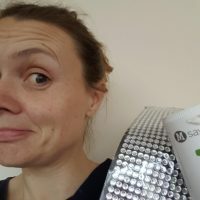 She was Highly Commended in the Blue Nib Chapbook Competition [Spring 2018] and won the Hedgehog Press Poetry Competition ‘Songs to Learn and Sing’. [August 2018]. In 2017 she graduated with an MA in Creative Writing from Newcastle University. Hilaire was poet-in-residence at Thrive Battersea 2017. 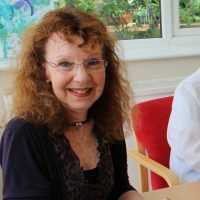 She has been published in magazines such as Brittle Star, ARTEMISpoetry and South Bank Poetry, and in three anthologies from The Emma Press. London Undercurrents poetry project, co-founded with Joolz Sparkes, was recently awarded Arts Council research and development funding. Charlie Hill is a writer from Birmingham. He is the author of two critically acclaimed novels and a pamphlet length collection of short stories. 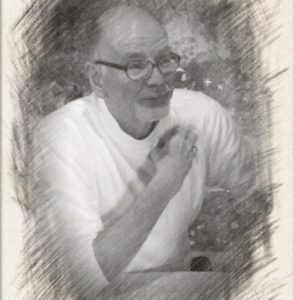 In 2016 he published a novella that was described by Nicholas Royle in his introduction to Best British Short Stories 2017 as: ‘an engrossing piece that…were the author French and his readers all French, might well have been regarded as a worthy late edition to the school of existentialist literature’. Georgia Hilton has been writing poetry since childhood and finds spending time in nature to be both an inspiration and a solace. Georgia’s debut poetry pamphlet, I went up the lane quite cheerful, was published in September 2018 by Dempsey and Windle Publishing, and she was the joint winner of the Brian Dempsey Memorial Prize in the same year. Georgia also has an MA in Creative and Critical Writing from the University of Winchester. As a resident of Winchester and its surrounding villages for the last sixteen years, she loves the enduring beauty of the Hampshire countryside. 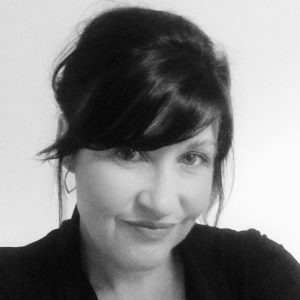 Julie Hogg is published in many literary journals including Abridged, Black Light Engine Room, Butcher’s Dog, Corrugated Wave, Honest Ulsterman, Irisi, Poethead, Poetry Bus Mag, Proletarian Poetry and Well Versed. Featured in anthologies by Ek Zuban, Litmus, Zoomorphic and Seren, her debut pamphlet Majuba Road is available from Vane Women Press. Christopher Hopkins is a Welsh poet living in Faversham, Kent. 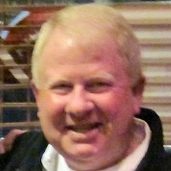 He has received an IPPY, CLMP Firecracker and three Pushcart Prize nomination. He has two chapbooks published by Clare Songbirds, New York and his third The Shape of a Tulip Bird is due out this summer. 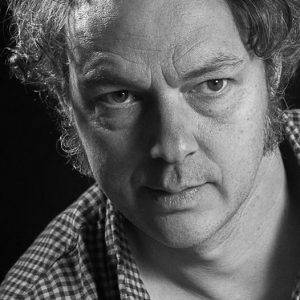 Christopher is widely published including poems in The Morning Star, The Cortland Review, Rust + Moth and Ink Sweat & Tears. Glenn Hubbard has lived in Madrid for 30 years and has been writing poems since 2012. Though fluent in Spanish, he is poetic only in English and has had poems published in a number of magazines. Nature and landscapes are often an inspiration for his writing. Spain has a lot of both. Gill Horitz has worked in the arts for many years. 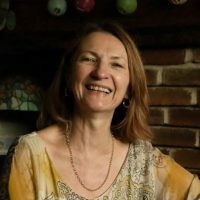 Her poetry has been published in magazines, including: Writing Women, Mslexia, Smiths Knoll, Frogmore Papers, Tears in the Fence, and a short story in Cheatin’ Heart – Women’s Secret Stories Anthology (Serpents Tale 1998). 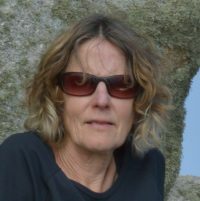 Gill was short-listed in the Bridport Prize, 2011 and Cinnamon Press will publish her first Pamphlet, All The Different Darknesses, in 2019. She attends a poetry group in Dorset where she lives, led by Paul Hyland. Mandy Huggins is the award-winning author of the flash fiction collection, Brightly Coloured Horses. A selection of her longer fiction appears in Death of A Superhero (InkTears), and her first full-length short story collection, Separated From the Sea, will be published by Retreat West Books in June 2018. 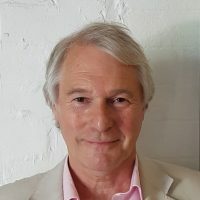 Robert Hughes is a retired secondary school English teacher who now writes fiction and nonfiction about overcoming alienation by reconnecting with the environment. Samantha Jayasuriya is a writer, coach and teacher, and she seeks to live a creative life. She is a diarist who writes every day whilst surveying the ever-changing seasons outside her window. She is a poet and writer of short stories and letters. Time, the sky, trees, colours and family life are the threads she uses to weave her stories and poems together. She lives in Barnet with her husband and two teenage sons. 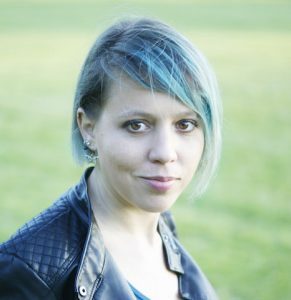 Rosie Johnston’s four poetry books, published by Lapwing Publications in Belfast, are Sweet Seventeens (2010), Orion(2012), Bittersweet Seventeens (2014) and Six-Count Jive – new and selected 17-syllable stanzas (2019). 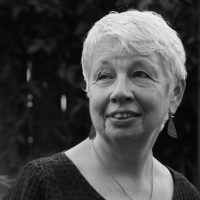 Her poems have appeared or featured in London Grip, Culture NI, FourxFour, The Honest Ulsterman, Ink, Sweat & Tears, Hedgerow, on the Mary Evans Picture Library’s Poems and Pictures blog and in Live Canon’s anthologies ‘154: In Response to Shakespeare’s Sonnets’ (2016) & ‘New Poems for Christmas’ (2018). 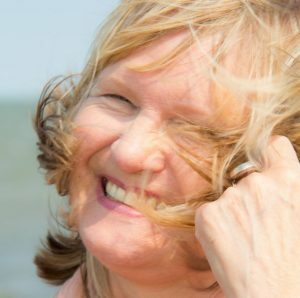 She has read her poetry widely and between 2014 and 2018 was poet in residence for the Cambridgeshire Wildlife Trust, until she moved to live by the sea in Kent. Carol Parris Krauss is a mother, poet, and teacher from the Tidewater region of Virginia. She was recently honoured by the University of Virginia Press as a 2018 Best New Poet. 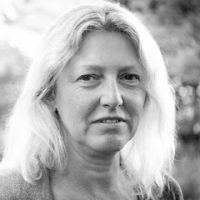 Her work can be found online and in print in Amsterdam Quarterly, Storysouth, and Poetry24 amongst others. She enjoys American college football, gardening, and her many pets. 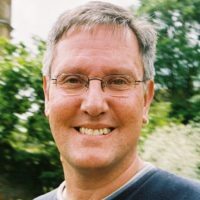 Calum Kerr is a writer, editor and lecturer, as well as Director of National Flash-Fiction Day. For someone who writes short pieces all the time, he’s not very good at these biographies and tends to become fixated on facts. He lives in Southampton with this wife, a dog, and two cats. Hiram Larew’s poetry appears in recent issues of Viator, Contemporary American Voices, Voices Israel, Amsterdam Quarterly, Honest Ulsterman and Lunaris Review (Nigeria). He is on Facebook at Hiram Larew, Poet and at Poetry X Hunger. Originally from the UK, Wes Lee lives in Wellington, New Zealand. 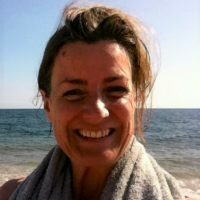 Her writing has appeared in New Writing Scotland, The London Magazine, Riptide, Going Down Swinging, Magma, The Stony Thursday Book, Poetry London, Poetry New Zealand, Driftfish: A Zoomorphic Anthology of Oceanic Life, and many other journals and anthologies. She has won a number of awards for her writing, most recently as a contributor to Remembering Oluwale, winner of The Saboteur Awards Best Anthology 2017. S.A. Leavesley is an award-winning poet, fiction writer and journalist. Overton Poetry Prize winner 2015, her new pamphlet, How to Grow Matches, is forthcoming with Against the Grain Press in 2018. She has been published by the Financial Times and The Guardian, on Worcestershire buses and in the Blackpool Illuminations. An occasional climber and surfer, she also loves swimming, cycling, walking and being outdoors. 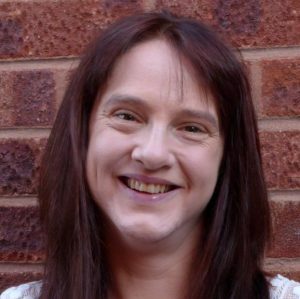 Alison Lock writes poetry, short fiction, and is the author of a fantasy novel. 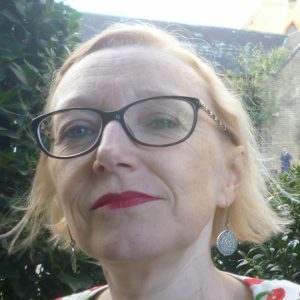 Her recent publications are a collection of short stories, A Witness of Waxwings (2017) Cultured Llama Publishing, and a poetry collection, Revealing the Odour of Earth (2017) Calder Valley Poetry. Barbara Lovric is an American expat now living in Ireland. A previous Irish Writers’ Centre Novel Fair winner, she’s had flash in The Fiction Pool, The Incubator, and The Cabinet of Heed. 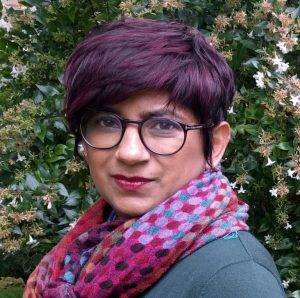 She was short-listed for the 2017 Over the Edge New Writer of the Year Award and longlisted for the 2017 Bare Fiction Prize. Her debut novel will be published in 2019. 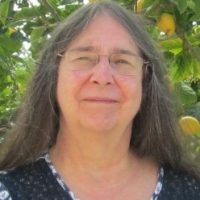 Barbara is also a Senior Editor and Reader for TSS Publishing and runs a local writing group. Rebecca Lyon is a writer/performer based in Hampshire. The Yellow Box, which she co-devised with Nicole Le Jeune and Fatima Pantoja toured earlier this year and her short play, Alan, was performed as part of Heavy Weather Theatre’s new writing festival at the Etcetera Theatre in Camden. Her work has appeared in Spelk, Visual Verse and The Stare’s Nest and she does love a bit of open mic.